After releasing a couple of EPs under his own name, Jamison Isaak is back at it with a brand new track under his Teen Daze guise. The track entitled "Spring" is filled with gently plucked guitar arpeggios, showing more of an organic side for the artist who found himself making a name with summery flavored synths. This is definitely working in the tracks favor though, as it paints a picture of a laidback spring afternoon spent on a picnic blanket in the park. This is perhaps the perfect respite for those of us wallowing through a cold winter blast. 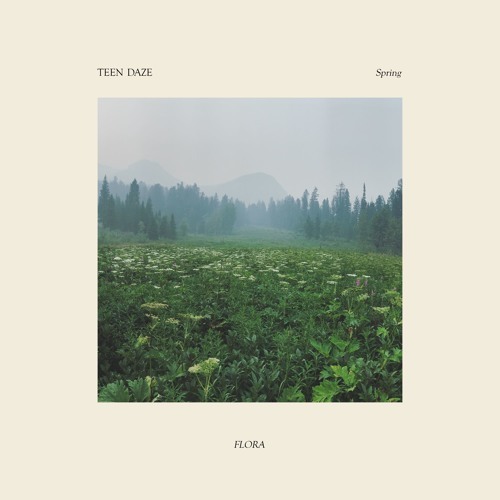 "Spring" finds Teen Daze continuing to grow as an artist, experimenting with new sounds and textures, and has me looking forward to what's next. You can also check out Teen Daze on a US tour with Chrome Sparks at the moment, find the dates over on his Facebook page.